Here's what it would be like on a world with unlimited energy. In short, according to the Kardashev scale, interstellar travelers = advanced society. In a previous article, we offered an overview of the various civilization types: Subglobal Cultures, Galactic Cultures, Multiverse Cultures etc. We’ve already discussed a Subglobal Culture and a Planetary Culture. Today, we want to talk about what it would be like to live in a Type II Civilization—A Stellar Culture. You might be saying to yourself, “but aren’t we already harnessing the power of the Sun?” When we talk about a Type II Civilization, we aren’t merely discussing transforming starlight into energy — we’re talking about controlling the star. Does this sound like the plot of a bad super-villain film? Keep reading. This isn’t about capturing a star’s energy for nefarious means. Instead, it would be necessary for the continued advancement of the civilization in question, as exponential technology requires exponential energy. 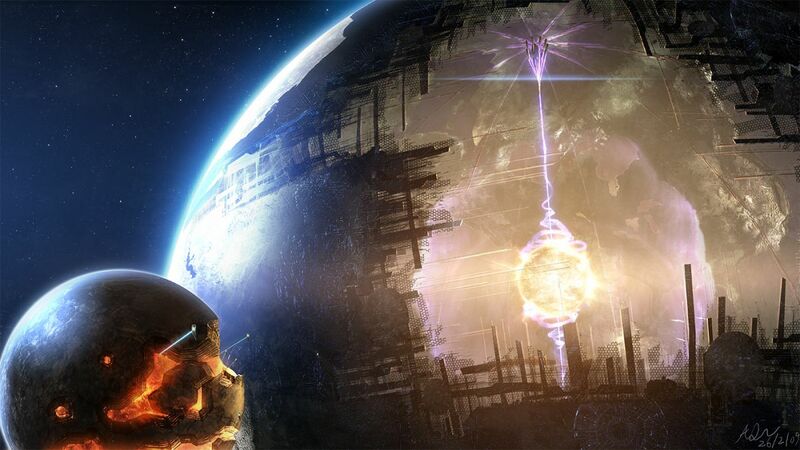 If this idea sounds familiar, it may be because the Dyson Sphere has made appearances in popular television quite a lot. In fact, such methods of energy harvesting are frequently used by species that are Type II on the Kardashev scale (or beyond). For example, in the Star Trek: The Next Generation episode “Relics,” the Enterprise encounters a Dyson Sphere that was abandoned after the encased star became unstable, rendering the inner surface uninhabitable. Likewise, in the Doctor Who episode “Journey to the Centre of the TARDIS,” it is revealed that the TARDIS itself is a Dyson Sphere. Alternatively, if fusion power (the mechanism that powers stars) has been mastered by the race, a reactor on a truly immense scale could be used to satisfy their energy needs. Nearby gas giants can be utilized for their hydrogen, slowly drained of life by the orbiting reactor. In this case, the civilization would be controlling planets for their energy needs. How Will This Affect Life? So, what would this much energy mean for a species? Well, we would have clear skies, as fossil fuels would be a thing of the past. No more anthropogenic global warming. And with virtually unlimited energy, traveling around the globe (or the solar system) would be a breeze. It would be amazingly inexpensive to power rockets and ground transport, bringing our fellow planets (and citizens) closer than ever. People would take a quick jaunt to the Moon like people today take a trip to the beach. It’s likely that no natural catastrophe could wipe out such a species. Just as they control their star, they control their planet (including all its weather patterns…so goodbye, hurricanes!). Moreover, if humans survived long enough to reach this level of civilization, and a moon-sized asteroid entered our solar system on a collision course with our little blue planet–our technology would have advanced to a point were we’d have the ability to vaporize it out of existence. Or if we had time, we could move our planet out of the way, completely dodging it. But let’s say we didn’t want to move Earth… are there any other options? Well yes, because we’d have the ability to move Jupiter, or another planet of our choice, into the path of the asteroid – pretty cool, right? A better choice, of course, would probably be to just move the asteroid (though that’s not so impressive sounding). In any case, that’s what it means to literally control planets and stars. We are a LONG way from all this though. It’s estimated that getting to a Type II civilization will take between 1,000 and 2,000 years. Right now, we’re probably closer to a 0.72. It’ll be a while until we can use Jupiter as a shield. Sorry to be the bearer of bad news.